Description In this game there will be a pool table with 10 randomly placed red balls. 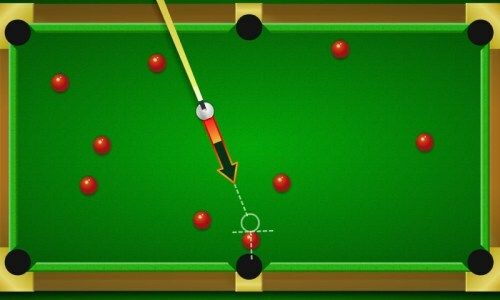 First you need to decide the position of the white ball, then you need to hit the white ball with the cue and let the white ball hit the red balls into the pockets. You score higher when you can pop in red balls for consecutive cues. Use the mouse to control the direction and speed of the white ball. Controls Use the mouse to decide where to shoot to and where to jump to.